Once again, Chinese media and internet users are lashing out at a Western corporation for the unforgivable insult of listing Taiwan and Hong Kong as separate entities from Communist China. The latest company to trigger the Chinese is Apple, whose iPhone XS rollout event included a slide that listed China, Hong Kong, and Taiwan as three separate markets among the two dozen or so that would receive Apple’s new product on September 21. 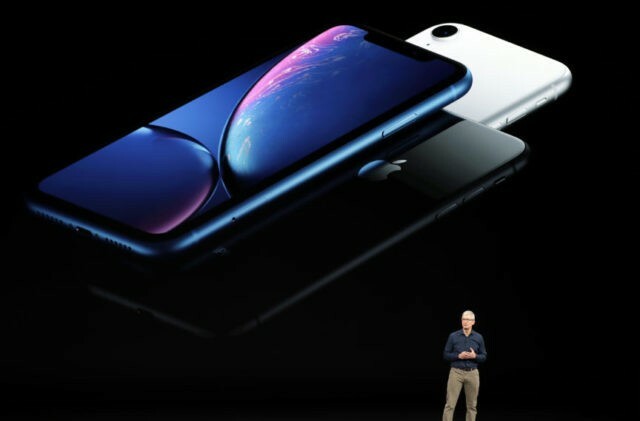 There was nothing particularly dramatic about this moment in the presentation; it was merely a list of shipping destinations projected on a screen behind Apple Senior Vice-President of Worldwide Marketing Phil Schiller on Wednesday as he talked about the product launch. Each of the listed nations was accompanied by an icon of its flag. China insists that Hong Kong and Taiwan be referred to as provinces of China – for example, “Hong Kong, China” instead of just “Hong Kong.” The Apple slide did not refer to the listed destinations as “countries” or imply that only countries would be listed. That was too much for internet user Subao Brother, who took to Weibo, China’s version of Twitter, on Thursday to vent his spleen. In an article published on WeChat, China’s most popular messaging platform, state-run tabloid Global Times accused Apple of double standards. “If Apple has the sense to put U.S. before Virgin Islands to differentiate it from British Virgin Islands, why can’t it put China before Hong Kong and Taiwan to make more people aware of the fact recognized by the United Nations and most countries in the world?” it said. The final name on Schiller’s list of markets was “US Virgin Islands”. The British Virgin Islands were not on it. The Central Committee of Communist Youth League of China also made its thoughts known on the matter, saying on Weibo that the US tech company should have made it clear that Hong Kong and Taiwan are parts of China and not separate countries. “Apple, what do you mean by this presentation?” the post said. In addition to missing the point that Apple had to specify “U.S. Virgin Islands” precisely because the British Virgin Islands were not on the list, so it was crucial to indicate which Virgin Islands will be receiving the iPhone XS, the Global Times dropped some accusations about Apple either deliberately challenging the “One China principle” or lacking the “political consciousness” to realize it was doing so. This was accompanied by ominous threats of Apple losing market share and reminders that China is willing and able to use its authoritarian economic muscle to force Western companies such as Ikea and major airlines to obey Chinese speech codes. Chinese media also took pains to notice other Apple “mistakes” such as listing Hong Kong, Taiwan, and Macau as separate “countries” in the retail store locator on its website and failing to list “China” as the country where the cities of Macao and Taipei are located in the iPhone world clock. The list of things Apple will be expected to “fix” to properly “apologize” to China is rapidly taking shape. Radio Free Asia wondered if these orchestrated displays of Chinese nationalist fervor might be a prelude to Beijing making far more sinister demands of companies like Apple. The constant complaints not only train Western companies to think proactively about what they must do to keep China happy but demonstrate how easily Chinese market share can be taken from them, perhaps without the authorities in Beijing needing to get their hands dirty with an official ban. “The Chinese government has always tried to create a nationalistic mood, as an ideological antidote to anything from the West. As for how foreign companies respond, it depends on where their bottom line is; I hope they won’t do any more evil. I hope that they won’t carry out data collection for the Chinese government, or hand over intelligence reports,” Beijing-based human rights activist Li Wei told RFA.